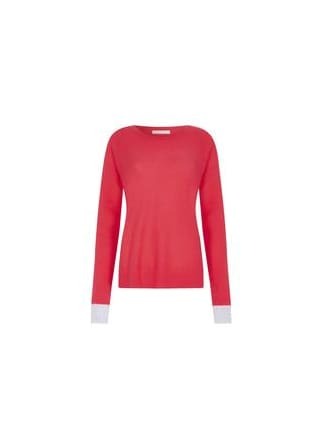 Beautiful geranium coloured 100% cashmere sweater. Luxurious feel Duffy NY sweater. Grey cuffs with thumb hole detail. Plain knit front and horizontal ribbed knit back and sleeves.